On-anong Homsombath, the first runner-up in last year's Miss Universe Laos, will represent Laos in the 2018 Miss Universe competition after the franchise holder decided not to hold the national pageant this year. Miss Universe Laos Organization (TVLAO HD) has officially appointed On-anong Homsombath as Miss Universe Laos 2018, second Lao woman to compete at the Miss Universe pageant. Miss Universe Laos Organization (TVLAO HD) has officially announced to select and appoint On-anong Homsombath to represent Laos in Miss Universe 2018. On-anong Homsombath, First runner up Miss Universe Laos 2017, age 23, height 171cm, graduated from Kaposvar University, Hungary 2017, majoring International relations. Worked at Mekong River Commission. 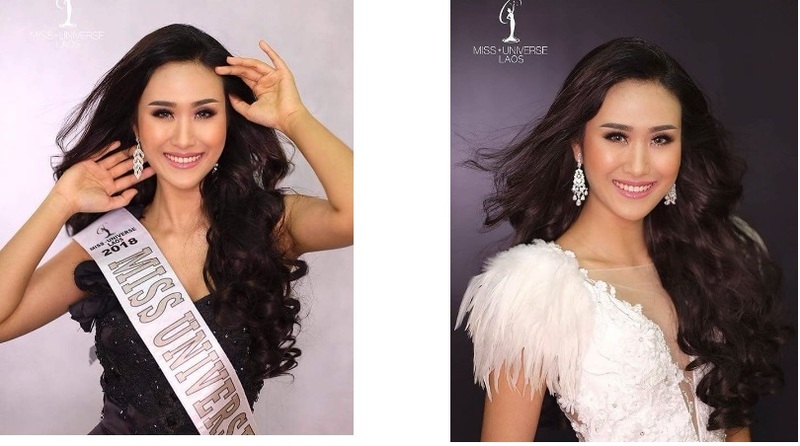 During her high school study, she participated in education exchange programs in USA, Japan, Vietnam, the Philippines, Singapore, Indonesia, Malaysia... She has an unique and outstanding beauty, language competency, elegant courtesy and Lao culture to deserve presenting Lao women in Miss Universe 2018.